The 2016 international technology and equipment market (Techmart) will take place at No. 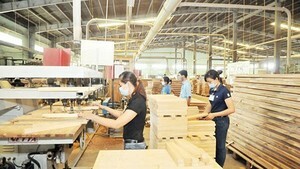 79 Truong Dinh Street in Ho Chi Minh City’s District 1 on November 3-4. The event aims to enhance the quality and safety of agro-products; introduce technology and equipment for production and storage of food. New technologies are achievements of scientific research in the field of agriculture planting, processing and storing of safe agricultural products by firms, institutes and universities in the country. The event will also present to the public software searching for the origin of agricultural and aquatic products, international safety requirements of aquatic products processing plant, recent advances in drying and dehydration of fruits and vegetables.